You can sponsor WBMA-TV, an access station right here in your hometown of Bloomfield, NJ. 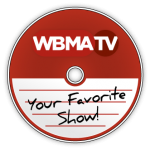 In return for your support, sponsors receiver an on-air acknowledgement of their efforts on the WBMA-TV (visual and audio announcements of about 15 seconds). Cable-TV access channels, like WBMA-TV, are local — that means that each channel serves only one town or is shared by a small group of towns. Access channels reflect the unique personality and values of the community they serve. This means that your business can bond with your community at a "grassroots" level while being able to use the power of television to acknowledge your support for the community. Offers a competitive advantage — You can be the only sponsor is your business category. Any manufacturer or distributor of beer, alcohol or tobacco. Any entity that promotes the use or sale of illegal drugs or drug paraphernalia. Political parties, lobbying groups, political action committees or cause based organizations. Any illegal or off shore gambling entity or entity that provides information that enables or can be associated with illegal gambling. Manufacturers or sellers of firearms, ammunition, gun repairs, accessories, targets, stun guns, tear or pepper gas dispensers, and rifle and pistol ranges. Retailers who sell other products not firearm related can be sponsors provided they do not promote firearm related products (for example, department stores and sporting goods stores).